Kisiel or kisel (Russian: кисель) is a popular dessert in Eastern and Northern Europe. It consists of sweetened juice, thickened with arrowroot, cornstarch or potato starch, and sometimes red wine or dried fruits are added. Kissel can be served either hot or cold, also together with sweetened quark or semolina pudding. Kissel can also be served on pancakes or with ice cream. If the kissel is made using less thickening starch, it can be drunk - this is common in Russia. Its name is derived from a Slavic word meaning "sour" (cf. Russian кислый kisly), as sour fruits are preferred. Kissel is made by first mixing water with potato flour and smashed fruits, then boiling this mixture. Recently it is also possible to buy instant kissel. Nowadays most Polish households prepare kissel from instant mixes instead of the traditional way. The most popular flavours are strawberry, gooseberry, and raspberry. In Russia, the most popular flavours are cranberry, cherry, and red currant. Left: Commercial Kissel from Poland. 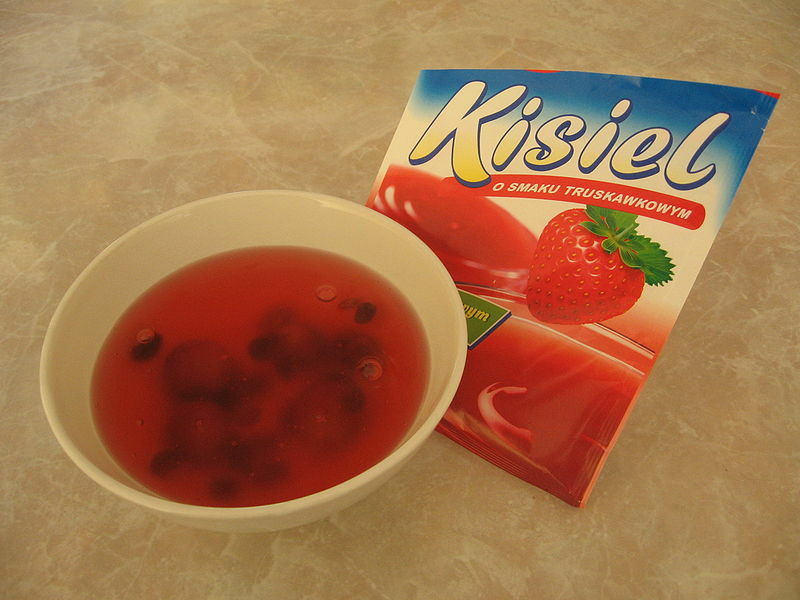 In Finland, kisel is called kiisseli and is often made of blueberries (since those can often be found growing wild in the forests and are thus both easy to gather and free) as well as from prunes, apricots, strawberries, etc. The thickness can vary depending on how much potato flour is used: thin blueberry soup is most easily consumed by drinking while the thickest version is almost like jelly and is eaten with a spoon. 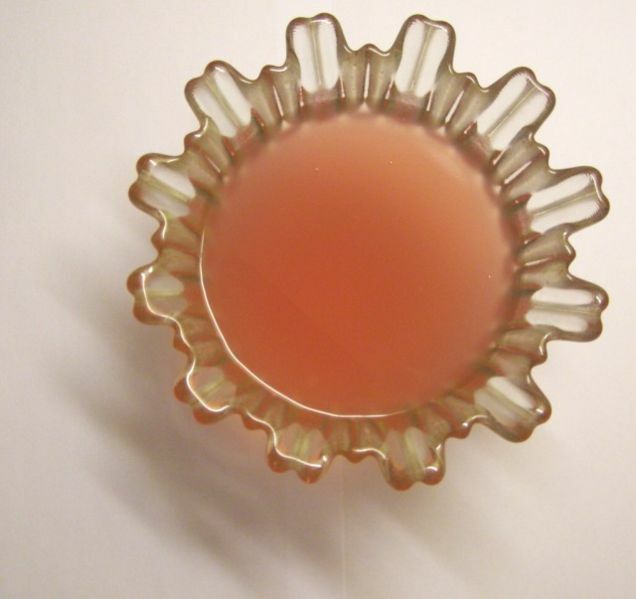 Rhubarb can also be used, but it's often combined with strawberries to make it less tart.